Successful projects are managed well. To manage a project efficiently, the manager or dev team must examine many software development methodologies to choose the one that will work best for the project at hand. All methodologies have different strengths and weaknesses and exist for different reasons. Here’s an overview of the most commonly used software development methodologies and why different methodologies exist. The waterfall method is considered the traditional software development method. It’s a rigid linear model that consists of sequential phases (requirements, design, implementation, verification, maintenance) in which distinct goals are accomplished. 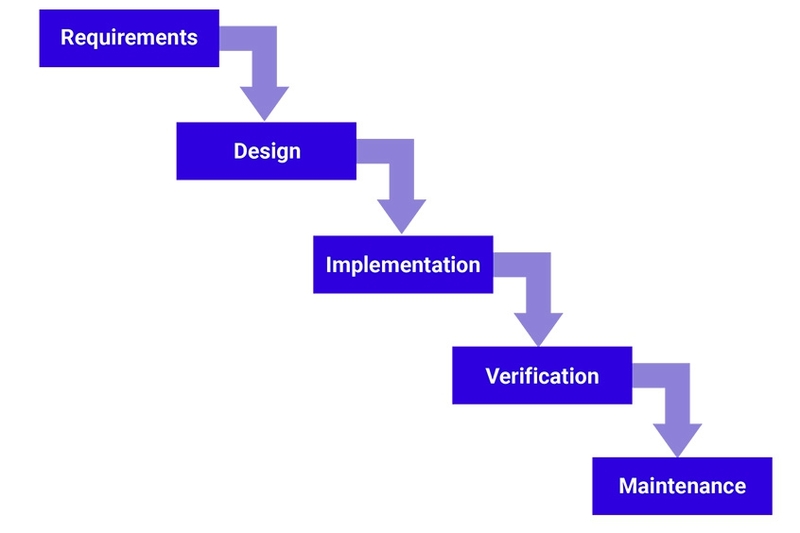 Each phase must be 100% complete before the next phase can start, and traditionally there is no process for going back to modify the project or direction. Pros: The linear nature of this method makes it easy to understand and manage. Projects with clear objectives and stable requirements can best use the waterfall method. Less experienced project managers, project teams, and teams whose composition changes frequently may benefit the most from using the waterfall development methodology. Cons: It is often slow and costly due to the rigid structure and tight controls. These drawbacks led waterfall method users to the explore other software development methodologies. Rapid application development (RAD) is a condensed development process that produces a high-quality system with low investment costs. In a recent Forbes article, Scott Stiner, CEO and president of UM Technologies, said, “This RAD process allows our developers to quickly adjust to shifting requirements in a fast-paced and constantly changing market.” The ability to quickly adjust is what allows such a low investment cost. The rapid application development method contains four phases: requirements planning, user design, construction, and cutover. The user design and construction phases repeat until the user confirms that the product meets all requirements. Pros: RAD is most effective for projects with a well-defined business objective and a clearly defined user group, but which are not computationally complex. It is especially useful if the project is of small to medium size and time sensitive. Cons: It requires a stable team composition with highly skilled developers and users who are deeply knowledgeable about the application area. Deep knowledge is essential when working on a condensed development timeline that requires approval after each construction phase. If you don’t have these requirements, RAD may not work well for your organization. There are many different forms of the agile development method, including scrum, crystal, extreme programming (XP), and feature-driven development (FDD). Pros: Agile methods attempt to minimize risk (such as bugs, cost overruns, and changing requirements) when adding new functionality by developing the software in iterations that are mini-increments of the new functionality. The benefit of multiple iterations is that it improves efficiency by finding and fixing defects and expectation mismatches early on. Agile development requires agile testing. Read The Agile Security Manifesto. Cons: Agile methods rely on real-time communication, which fails to provide new users with documentation to get up-to-speed. They require a huge time commitment from users and are labor-intensive because developers must fully complete each feature within each iteration for user approval. Users realize software benefits early on owing to the incremental addition of the iterations. Agile methods are similar to RAD and can be inefficient in large organizations. Programmers, management, and organizations accustomed to the waterfall method may have difficulty adjusting to agile. So a hybrid approach often works well for them. 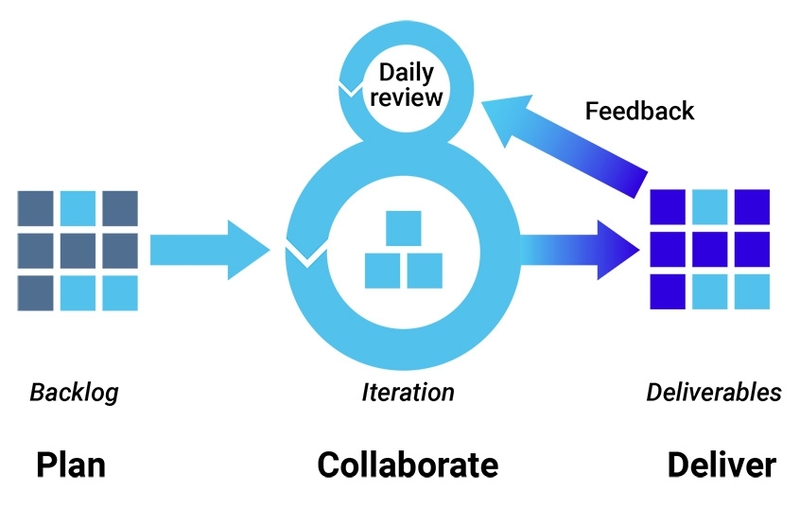 DevOps deployment is centered on organizational change that enhances the collaboration between the departments responsible for different segments of the development life cycle, such as development, quality assurance, and operations. 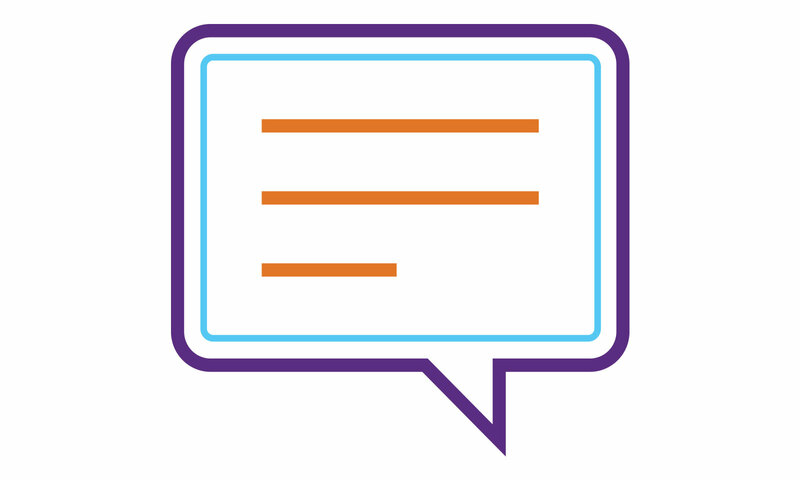 Pros: DevOps is focused on improving time to market, lowering the failure rate of new releases, shortening the lead time between fixes, and prioritizing minimal disruption and maximum reliability. To achieve this, DevOps aims to automate continuous deployment to ensure everything happens smoothly and reliably. Companies that use DevOps have benefited by significantly reducing the time to market and improving customer satisfaction, product quality, and employee productivity and efficiency. Some customers don’t want continuous updates to their systems. Some industries have regulations that require extensive testing before a project can move to the operations phase. Different environments used in the different departments can allow undetected issues to slip into production. Some quality attributes require human interaction, which slows down the delivery pipeline. These four software development methodologies are the most pervasive in software development. Each one has its own strengths and weaknesses and works effectively in different situations. This information may be helpful for you when choosing your development methodology. How do you add security to DevOps without slowing things down?